The former national security adviser's guilty plea is on hold while he cooperates with Robert Mueller's investigation. 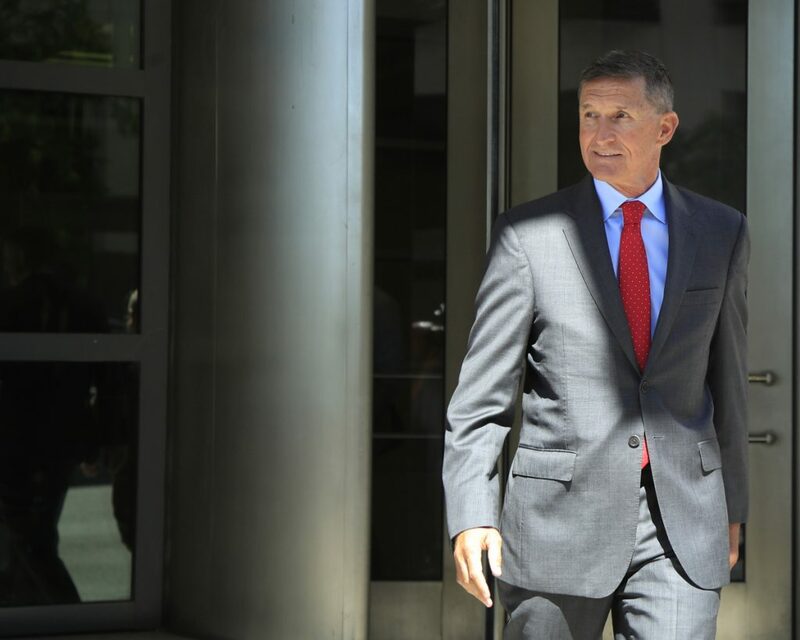 WASHINGTON — An attorney for Michael Flynn said Tuesday that the former national security adviser is “eager” to proceed to sentencing and put his criminal case behind him. Kelner said Flynn wants to put this “chapter” behind him, but special counsel Robert Mueller’s team has requested additional delay while the retired U.S. Army general continues to cooperate with the investigation into Russian election interference and whether President Donald Trump obstructed justice. Under federal guidelines, Flynn’s sentence is estimated to be between zero and six months in prison. Flynn, who served as a top Trump campaign surrogate and briefly served as national security adviser before his firing in February 2017, did not make a statement after the hearing. In addition to discussing a sentencing date, Kelner told Sullivan that the facts of the case “are not likely to change in any material way” between now and sentencing. And Sullivan told both sides he wouldn’t “micromanage” Flynn’s cooperation with Mueller’s investigation. The judge said he had partly held Tuesday’s hearing to meet Flynn and the attorneys in the case before sentencing him. Another judge had handled Flynn’s plea last year before recusing from the case, resulting in it being assigned to Sullivan.